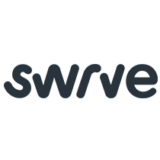 Swrve transforms the way brands connect and interact with customers in an increasingly mobile-centric world. Our integrated Mobile Engagement Platform enables enterprise organizations to deliver compelling mobile experiences and campaigns that drive engagement, revenue and ROI. Swrve is used by the world’s largest and smartest mobile businesses, including Sony, The Guardian, Condé Nast, Warner Brothers and Microsoft. Our customers have delivered more than two billion mobile messages, and every single day our platform processes over ten billion events across over a billion devices. Visit our continually updated website to view more about our platform and to try it out for your app!